It’s a night just for the boys! 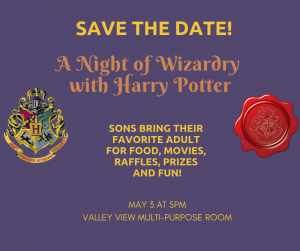 Valley View boys can bring their adult of choice for “A Night of Wizardry with Harry Potter!” This fun-filled event, which used to be called Mother-Son night, will feature a Harry Potter theme of games, activities, raffles, food and fun! 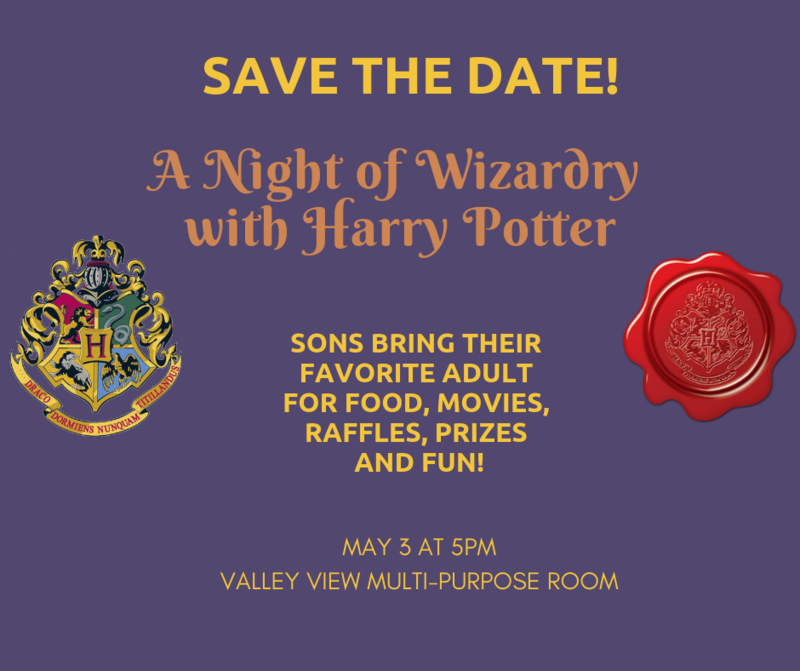 May 3 – 5 p.m. in the multi-purpose room!